Happy Friday! Unwind and enjoy some of Miley Cyrus’ best TwitPics. 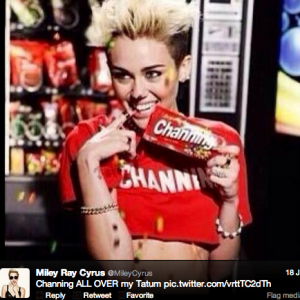 Pants, no pants, twerk, no pants, mohawks, no pants… Miley has some of the best and strangest TwitPics around. 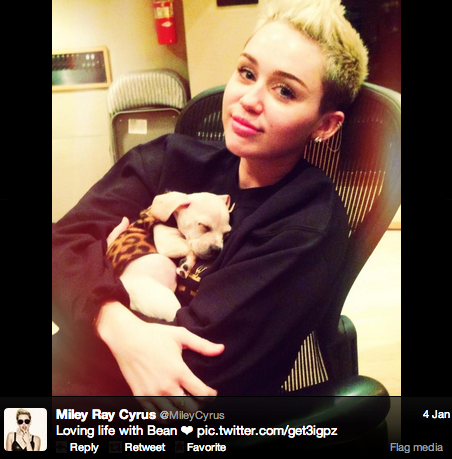 Bean is a rescue that Miley adopted. As a dog person, I know that Miley and I would be good friends. She let’s her dogs be the star of her Twitter. As they should be. 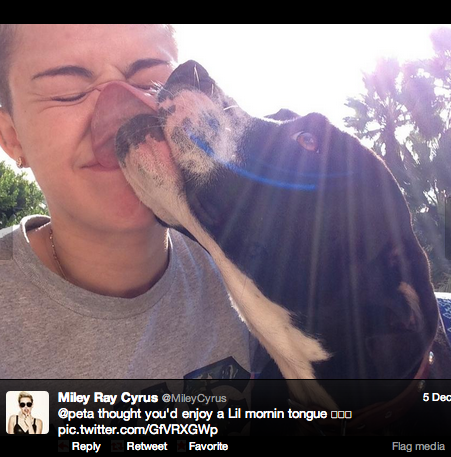 Miley isn’t afraid to let her dogs get close. Some say gross, we say love. Before releasing her latest single, Miley sent out TwitPics of the video shoot. It’s the first time we started seeing her obsession with the no-pants movement. Heck, if I looked that good, I would want to walk around in my underwear too. Also, this shot of Miley is just beautiful. 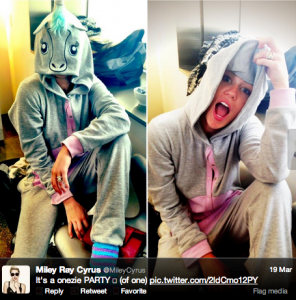 She may be just Miley, but her spirit animal is a unicorn. Finally, this gorgeous shot should just be her next album cover. When Miley visited Facebook, she got to pose infront of the coolest collage wall ever. Hey, Zuckerberg, why doesn’t Facebook look like this?